Why Do You Need Server Room Soundproofing? More and more companies in today’s digital age are finding they are in need of server rooms. Whether you have a data storage or computer networking company of your own or you are a large enough company that it makes economical sense for you to have your own server room, you know they can be extremely loud. The sound of all that computer equipment working its magic can be seriously distracting, and it never stops. If you have a server room, you know downtime is unacceptable — meaning if you have people in or around your server room environment, they are hearing the noise of your server room all the time. Fortunately, server room noise reduction solutions do exist. For the sanity and focus of your employees who work in or near the server room environment, along with any neighbors who might be nearby, it’s a good idea for you to look into computer sound dampening solutions — such as the kind you’ll find at Soundproof Cow. 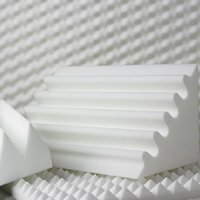 Soundproof Cow has a number of soundproofing materials you can use for effective server room sound dampening. 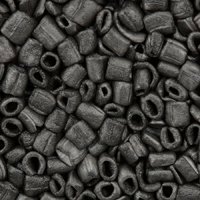 These soundproofing materials can not only help prevent the sounds of your machines from escaping to areas outside the server room, but they can also make the sounds in the room quieter and less harsh. This way, if your server room is attached to your office, other employees will not be distracted by server room sounds. Those who need to work in the server room will not dread going in there because the sounds that emanate, while they may not be sweet music, will be much more tolerable. If you’ve never pursued soundproofing solutions for your company before, you may be amazed at what a calming effect soundproofing your server room can have. You may find that employees are more focused and able to concentrate, and you may even learn of fewer headaches and a general boost in morale. In many cases, the benefits of soundproofing a noisy room in your workplace may far exceed the costs of soundproofing when you consider the increase in productivity and worker morale that can result. What Can Server Room Soundproofing Do for You? To soundproof your server room, all you need are the right materials. Fortunately, Soundproof Cow has just about everything you need to thoroughly and effectively soundproof your server room. Our popular Quiet Batt™ 30 Insulation is easy to install and is highly effective at preventing sound transfer and dampening ambient sound. 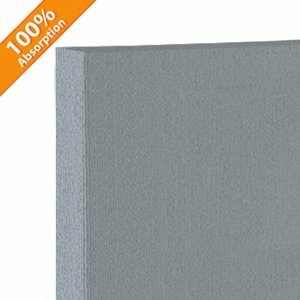 Fabric-Wrapped Acoustic Foam Panels give you the flexibility of putting soundproofing where you want it without interrupting the design of any room. 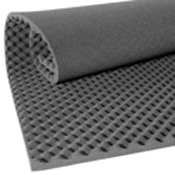 You may also wish to consider our complete ISOTRAX™ Soundproofing System. 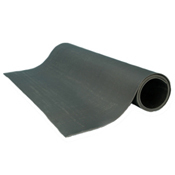 We have soundproofing options to fit just about any situation. With Soundproof Cow soundproofing products, it’s simple to soundproof your own server room. 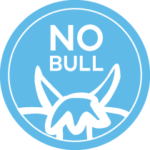 Our materials are largely made of safe, eco-friendly recycled cotton, so you can handle it with your bare hands and don’t need to worry about breathing in toxic chemicals or irritating your skin. 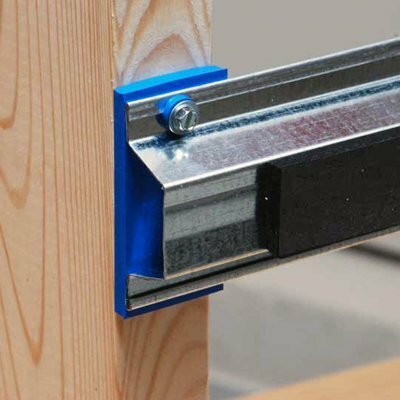 Many of our products can be installed with easy-to-use supports, which we can also supply. Protect your server room employees, other employees, yourself and your neighbors with reliable soundproofing from Soundproof Cow today.